Katy Rose of Modly Chic wrote a really interesting post about labels a few days ago, which was the jump-off point for this week’s FBFF questions. 1. As a someone who writes/blogs about fashion, have you placed yourself into some sort of blogging category? This has always been a struggle for me, from the moment I decided I wanted to start a blog. For a little while, I thought if I wanted to blog about fashion, I had to post outfits daily with nice big pictures and very little text. However, the problem with this is that I thought I only needed a few pictures and I want to write more. Those who know me IRL would say I don’t talk a lot, but for some reason, when it comes to blogging I want to a couple of paragraphs or so! Also, I have other interests besides fashion, such as knitting, and I wanted to include them on this blog too. I finally realized that I can blog however I want to about whatever I want and I’m still finding my groove in that respect. 4. 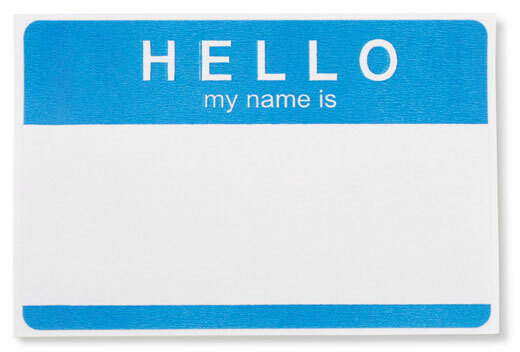 Do you think there are benefits in labeling yourself or others? I supposed the benefits of labeling would be the specific community that is created by that label, but thankfully we don’t have to limit ourselves by that label! I like belonging to various online communities such as IFB and Ravelry, as well as the wonderful little community I’ve created around my blog! 5. Agree or Disagree – We’re all just people; we don’t need all the labels. Well I have to agree with the first part of the statement! Unless someone’s an alien from a different planet and they just haven’t told me yet! ;) Anyways, I don’t think labels are completely terrible. Like I mentioned in the response above, I can see how they can be useful in creating specific communities where you can turn to when you need help with that specific thing. I don’t think there’s anything wrong with identifying with a label, as long as you don’t let that label completely define who you are. As usual, I’d love to hear your answers to any and all of these questions in the comments! :)Fashion Beauty Friend Friday was created by Katy Rose of Modly Chic. Become a member at the Fashion Beauty Friend Friday Google Group to join in the discussion!